Castle Geyser is a cone geyser in the Upper Geyser Basin of Yellowstone National Park. It is noted for the particularly large geyserite sinter deposits, which form its cone. These deposits have been likened in appearance to a castle. 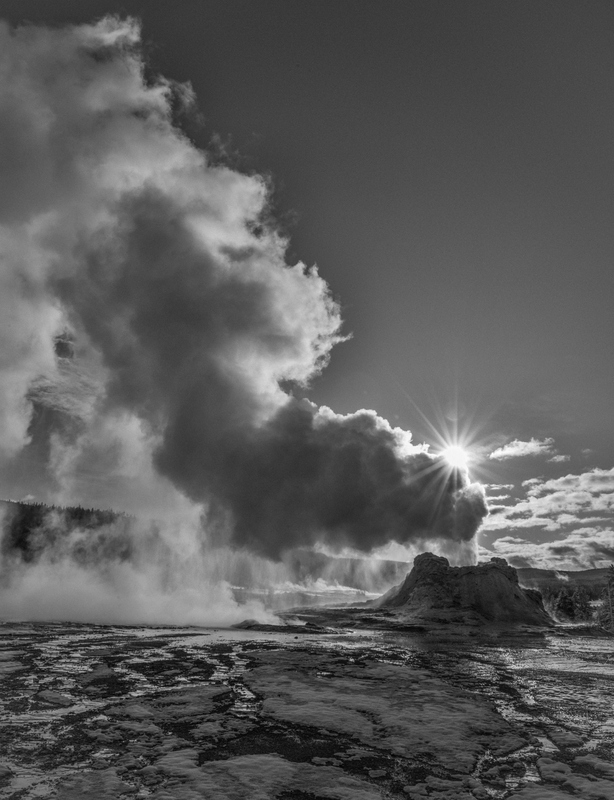 On this occasion, the geyser erupted during sunrise and the sun can be seen peeking out behind the geyser burst.